I been using pomades for over a year now and in that time I’ve tried all kinds. Like with shaving soap, I’m now doing the same thing with pomades, collecting. I have to admit the labels are part of the attraction but performance is always paramount. I started out with water based but gradually moved to grease. In the course of a few months my grease collection has grown considerably. The one I’d like to talk about first is Goon Grease which I own two. 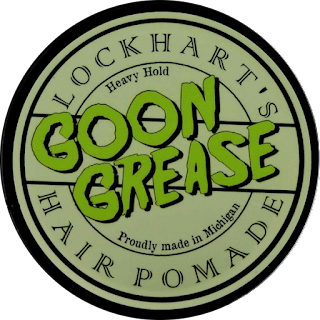 The Lockhart’s hale out of Michigan and have created some of the most beloved artisan pomades on the market today. The line is extensive with Clay, Water base and Grease offering Light, Medium and heavy holds. 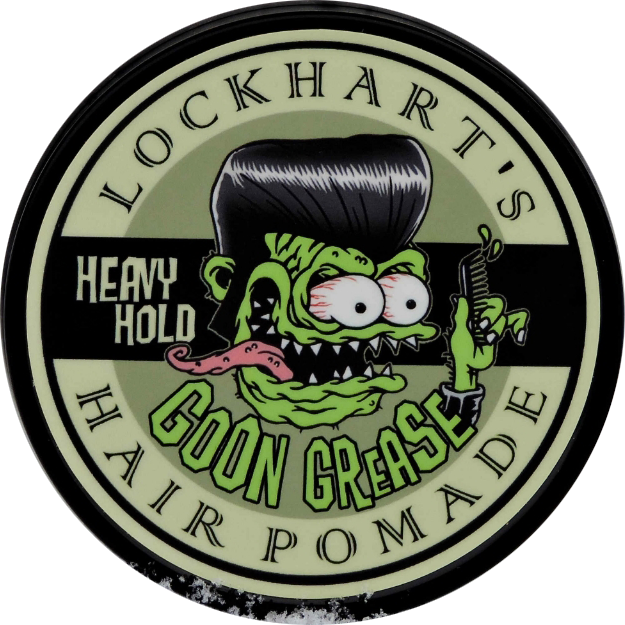 The Goon Grease pomades I own are both heavy hold and are exactly the same ingredients except for the scent. My introduction began with the citrus and cucumber which has a great scent that stays with you the entire day. When I found out about the Special Edition Lemon I just had to have it. Each tin is 4oz and has a push on top. The Special Edition Lemon has the Goon Grease monster on the lid so you can easily identify it from the others. You would think the scent strength to be the same on both but that was not the case for me. The Special Edition Lemon was on the lighter side which was a little disappointing. After emailing Lockhart’s on Sunday I had a response in just a few minutes. I have to say that was amazing customer support! After some emails back and forth they offered a solution to exchange it for another. Nicole told me that I could have received a weaker one and a new one was on the way. She was correct, the new one offered way more lemon goodness then the previous one. Outstanding customer support!! 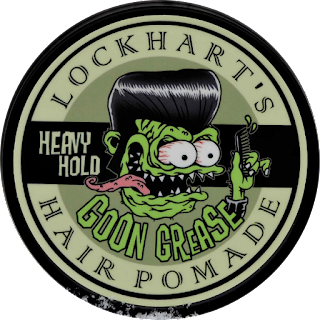 The performance of this pomade is outstanding. My method of applying any pomade is right after I shower so my hair is damp. Even though this is heavy hold I didn’t get that pull on my hair when combing like the others and the hold and shine are fantastic too. I’ve notice with some pomades mostly water based you have a certain amount of time to style before it sets. I find grease to be more forgiving even an hour later you can put a comb through it without a problem. Regardless of my scent issues it’s hard to beat the performance of this pomade no matter which one you choose.